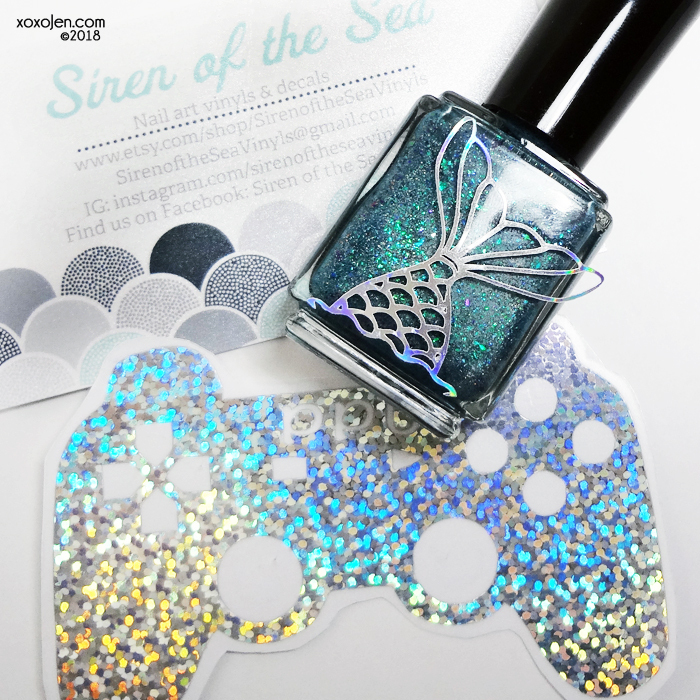 The June Polish Pick Up (PPU) features video game inspired products! How fun is that? The pre-order time frame is June 1st - 4th, after that they will not be available. I am an official blogger for June's Polish Pick Up and I am sharing products from the letters Li through Z. I've reviewed them by order of day received and this is the rest of everything I have received. If you missed part 1, click through to see those! 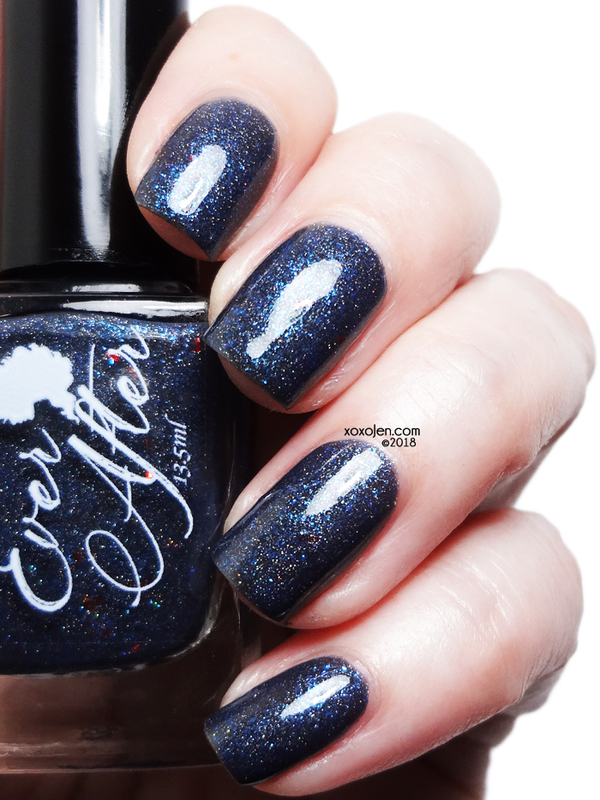 An effect top coat in a blue tinted base with tiny silver flakes and shimmer that shifts from teal to violet, and flashes aqua and purple at the extremes of its color range. 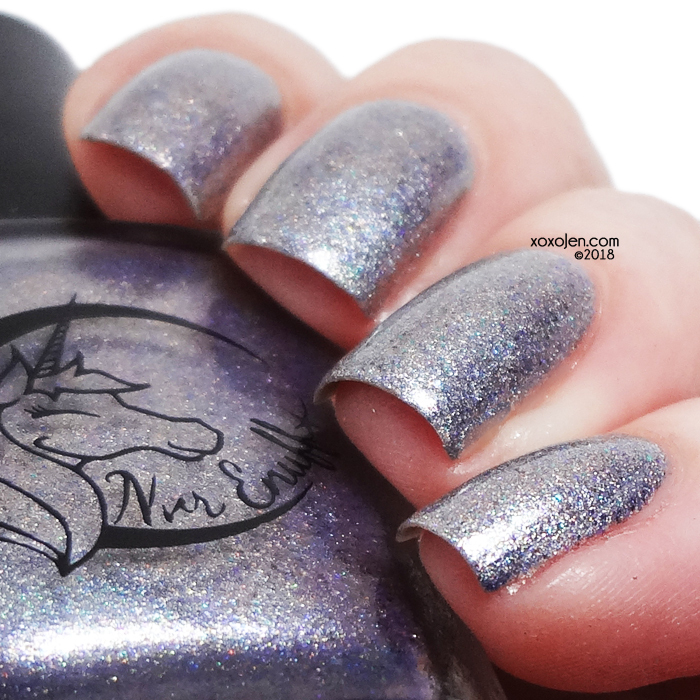 The flakes are sterling silver, and the shimmer is an original unicorn pee sibling pigment, not an aurora pigment. 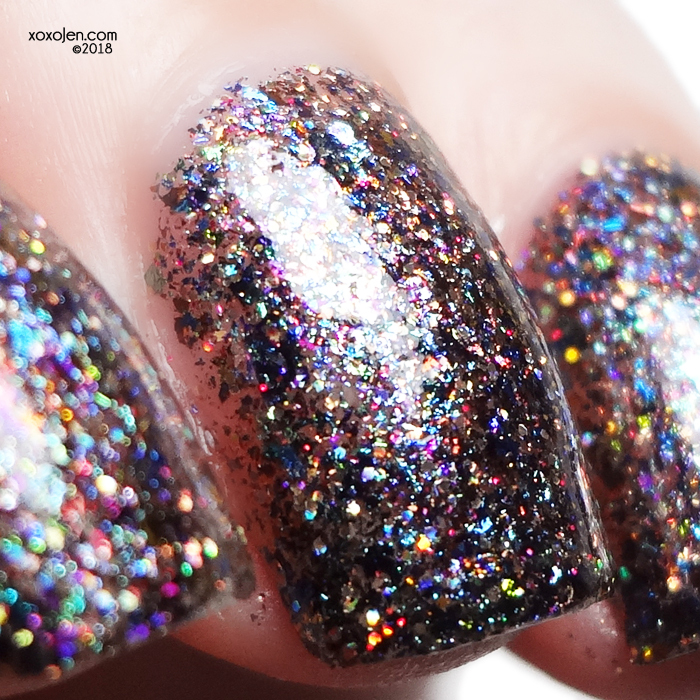 I wore one coat of Crystal Forever over two coats of Obsidian. 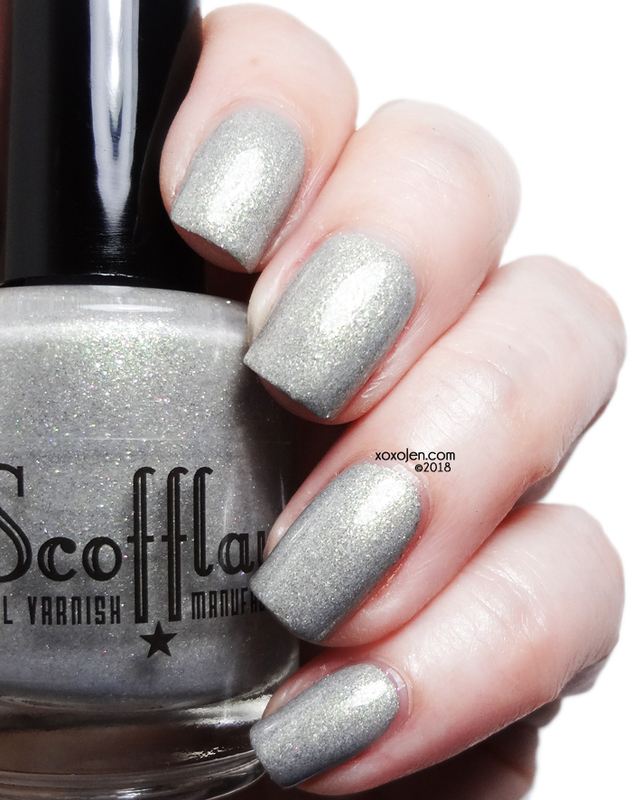 It's such a shifty polish, easy to capture with the camera and the tiny silver flakes add to its sparkle. a turquoise to purple to gold linear holo multichrome with platinum silver flakes and a rainbow of UCC flakes. Two coats shown with topcoat. Formula was good, love her logo labels. I am showing this polish two different ways. On two nails I painted on two coats with topcoat, in the usual way. On the other two nails where more glitter is showing, I sponged it on with a makeup sponge and then topped with topcoat. neon blue with red, green, gold magnetic pull and red/purple/blue aurora pigment. Three coats shown with topcoat. Formula was good, the magnetic pull is subtle in some lighting and slightly difficult to capture in my photos. When I waggle my fingers the soft gold diagonal shimmers like something 3 dimensional. It's pretty cool and the shade of blue is beautiful. I wore two coats with topcoat. 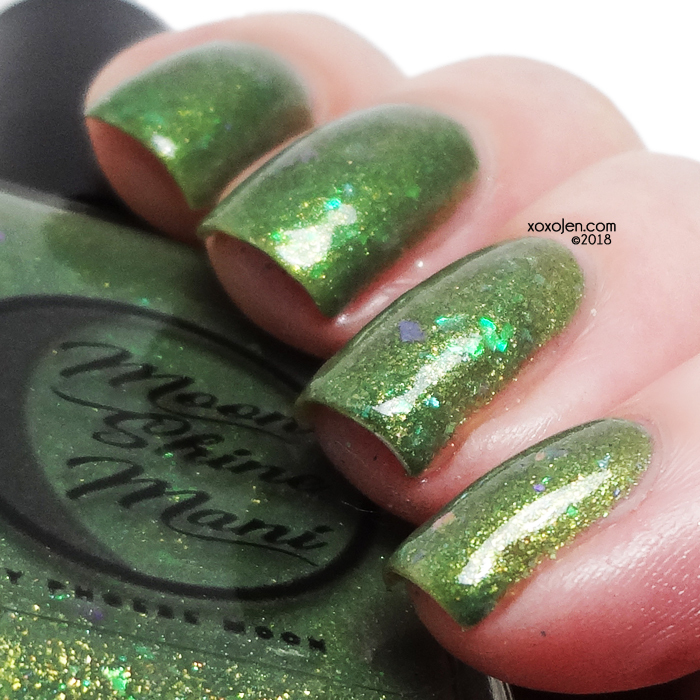 This polish is quite pigmented and easy to apply. red/bronze/copper chameleon shimmer, red-to-gold and red-to-green color shifting shimmer, red sparks, bronze and red pearl flakies, and iridescent red-to-green color shifting microglitter. "It was so amazing NO NOTES NEEDED." At least, that is what Mardi said when she saw that I had not included a note. She's right though, it is a spectacular polish. Opaque in one coat, but I wore two out of habit. 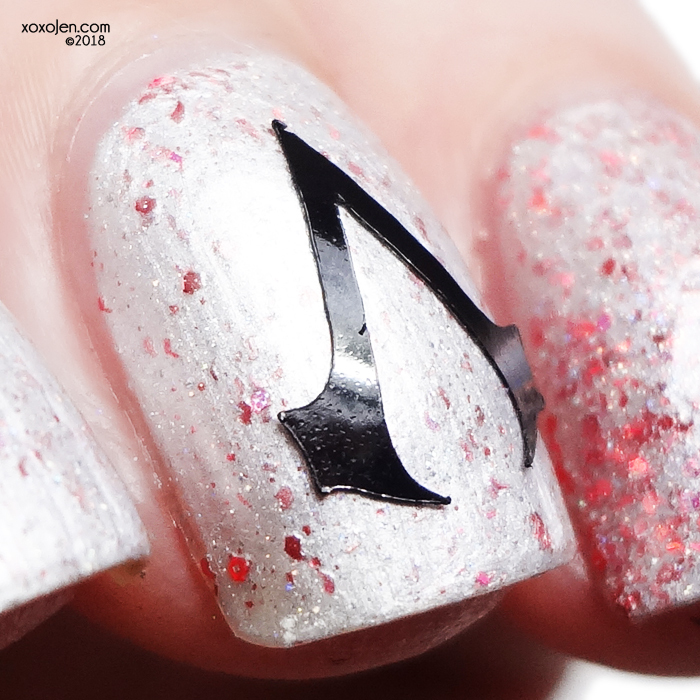 Formula was creamy and easy to apply. To my eye, this polish is a golden peach. I wore two coats with topcoat, formula was good. a violet purple jelly base with violet and magenta and yellow micro flakies and magenta and violet holo shreads with holo and a blue-violet iridescent shimmer. I like the pops of pink and shimmery finish of this polish. I wore two coats with topcoat, formula was good. a blue to purple duochrome with pink, gold, purple, and blue flakies and topped off with a touch of holographic sparkle. 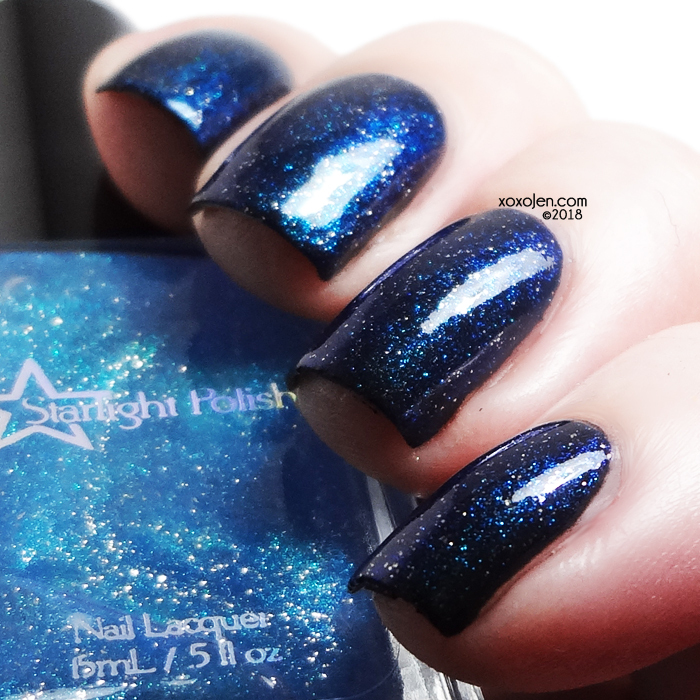 I initially thought this was a magnetic polish because using a magnet leaves behind a subtle slate blue line. I wore two coats with topcoat, formula was good. I wore two coats wtih topcoat, formula was good. a rich chocolate brown for a neutral base, with some gorgeous red shimmer that will shift slightly green in some lighting. 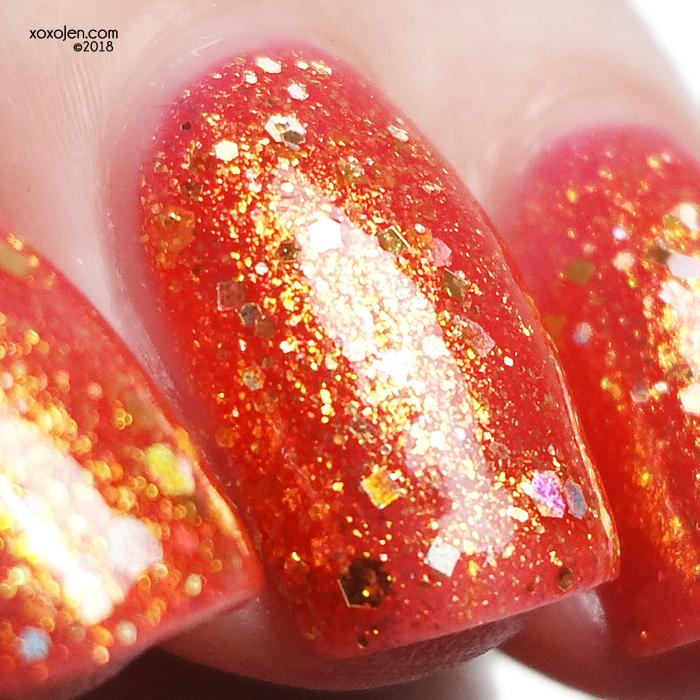 The red shimmer will give it a warm coppery feel in most lights. 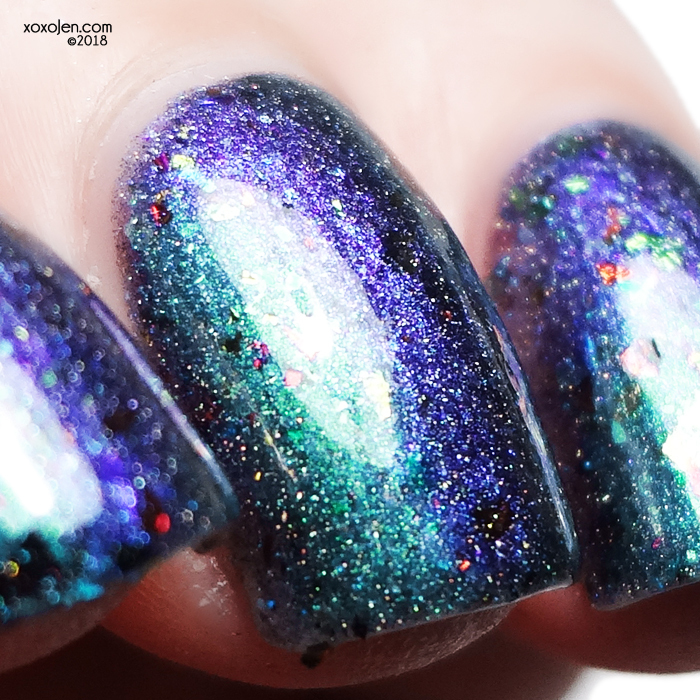 It also has a linear holo effect with tons of multiple color Ultra Chrome Chameleon flakes for gorgeous pops of color sitting on the linear holo rainbow! Such a milk chocolatey shade, and those flakes! Two coats with topcoat shown, formula was fantastic. Such a vibrant jelly polish, it reminds me of popsicles in the summer! Two coats shown with topcoat, formula was good. 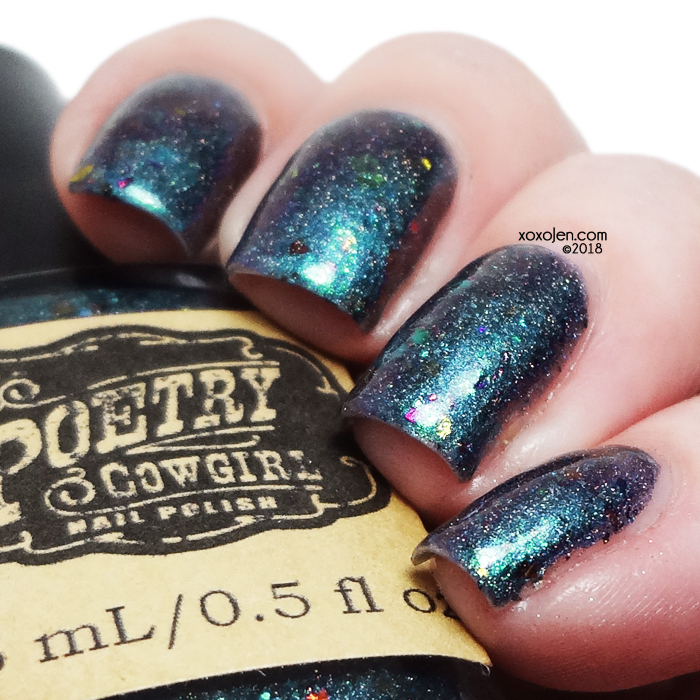 Glitterbomb is right! 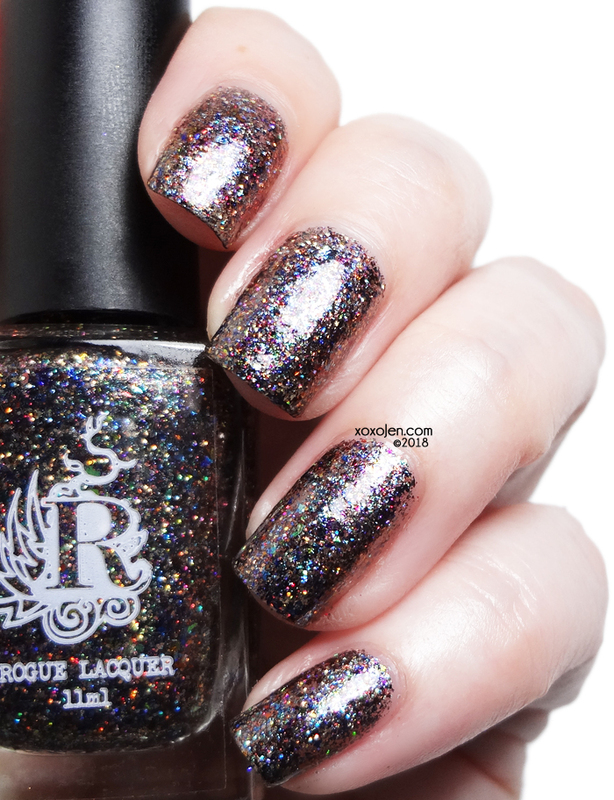 This is sparkly and surprisingly, quite smooth to the touch without topcoat! 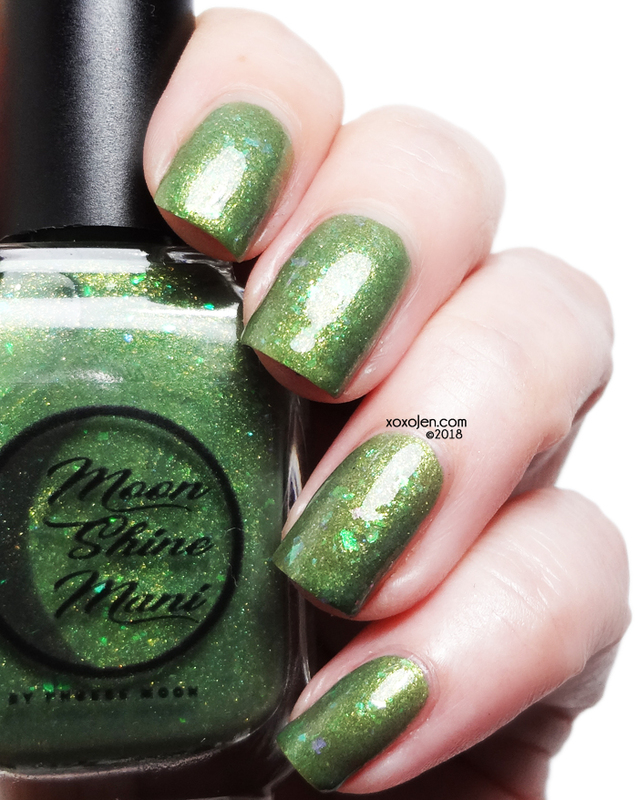 I wore two coats and added a topcoat for a glassy shine. Formula was good. 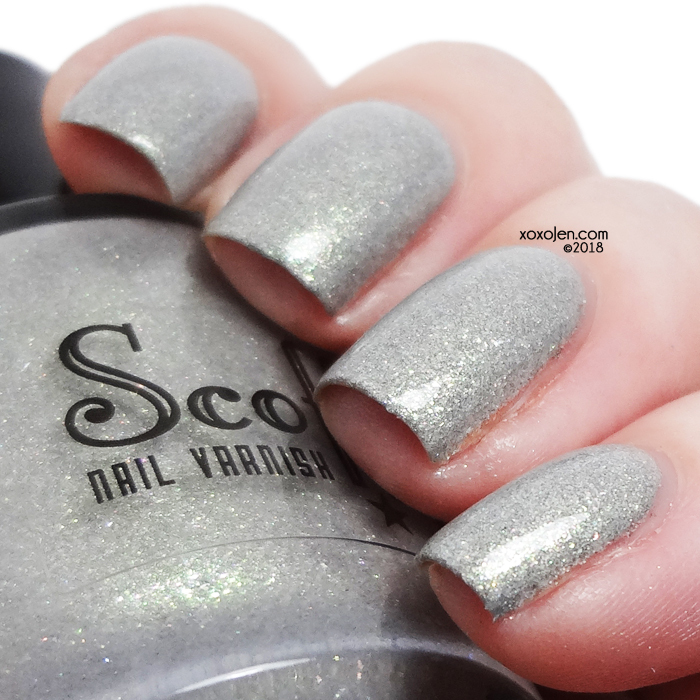 Creamy, quite opaque and slightly thick, this polish was easy to apply and has a nice sparkle to it. 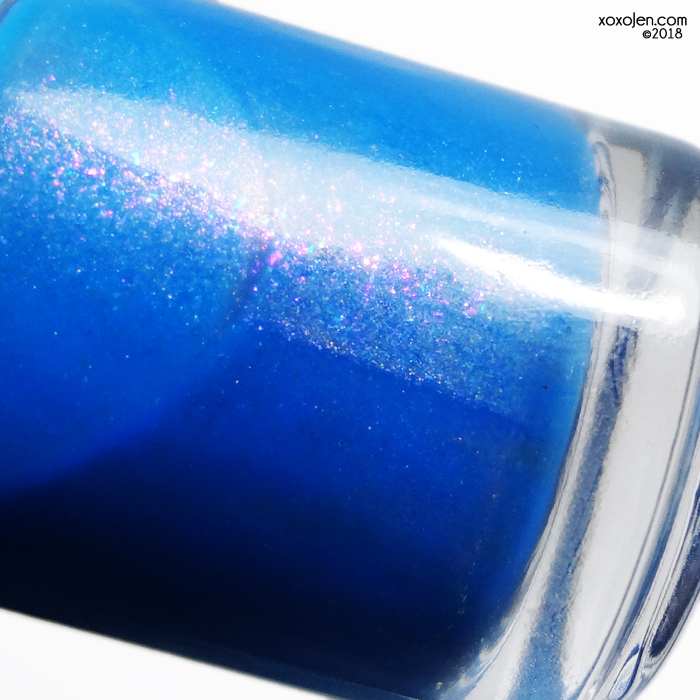 Loving the name of this polish and it's bright neon shade is perfect for summer mani/pedis. Two coats with topcoat shown, formula was good. 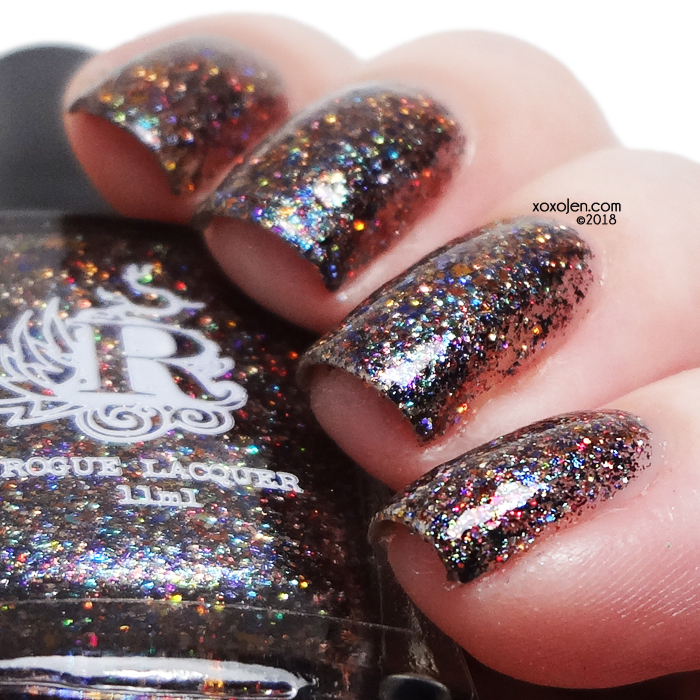 a multichrome polish with golden magnetic effect and a dash of holo sparkle. 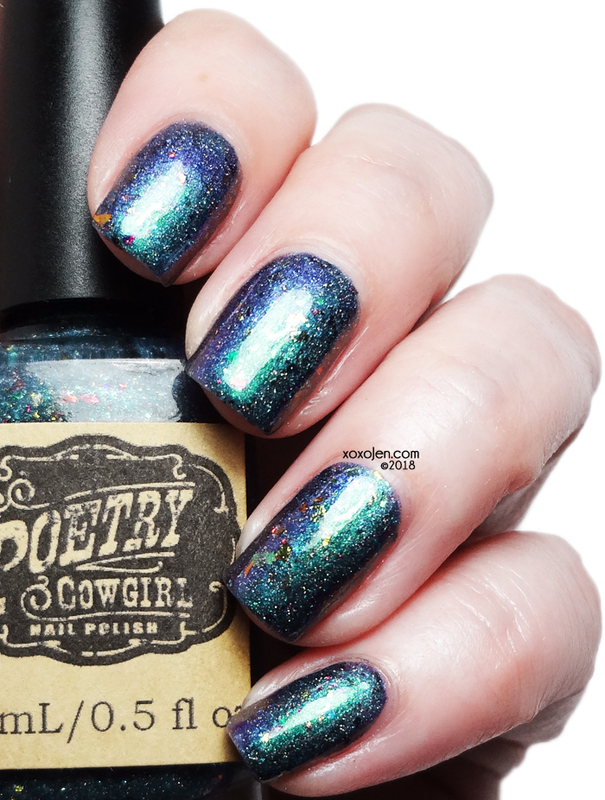 Holy smokes this polish is pretty! 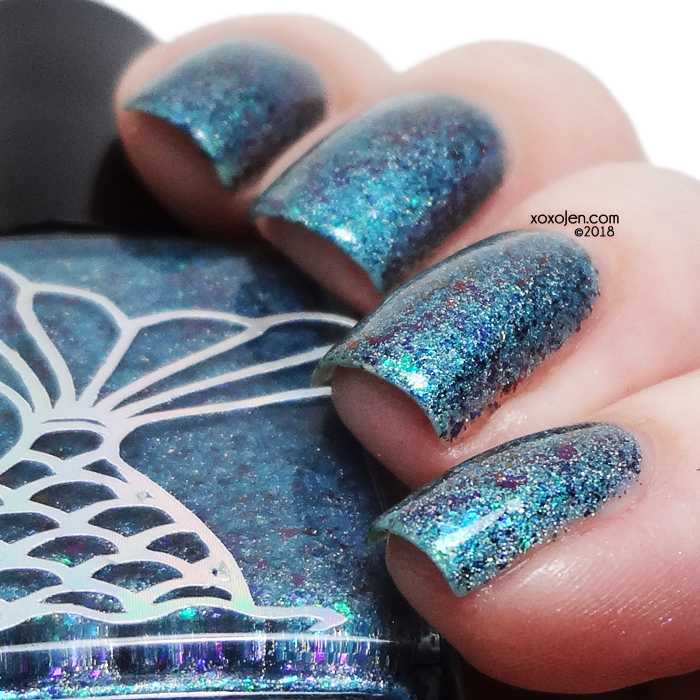 In the bottle it just looks kind of shimmery and taupe, but I magnetized the bottle for my photos because...unnnnf! The colors come out to play like magic! Purple, blue and gold make such a pretty combination! Two coats shown with topcoat. a light purple base packed with orange to green shifting flakes, orange to green shifting micro flakes and holographic flakes. 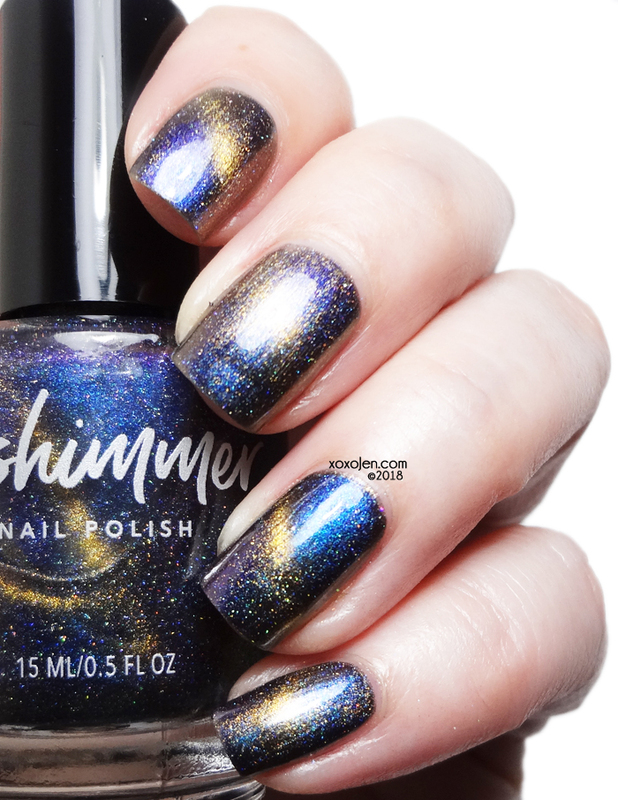 The perfect polish for both spring and summer! Legit made my jaw drop. Two perfect coats shown with topcoat. 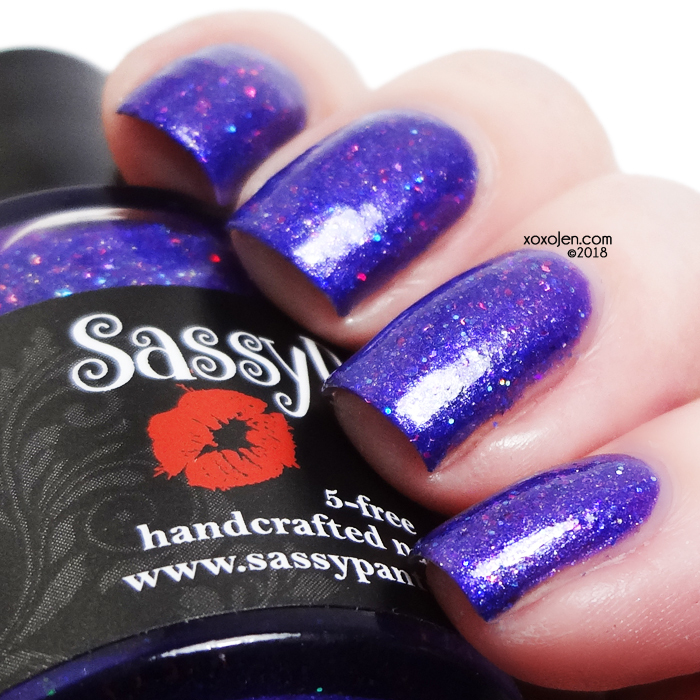 burgundy base with various sized sparkles in gold, violet, and blue with a purple flash. 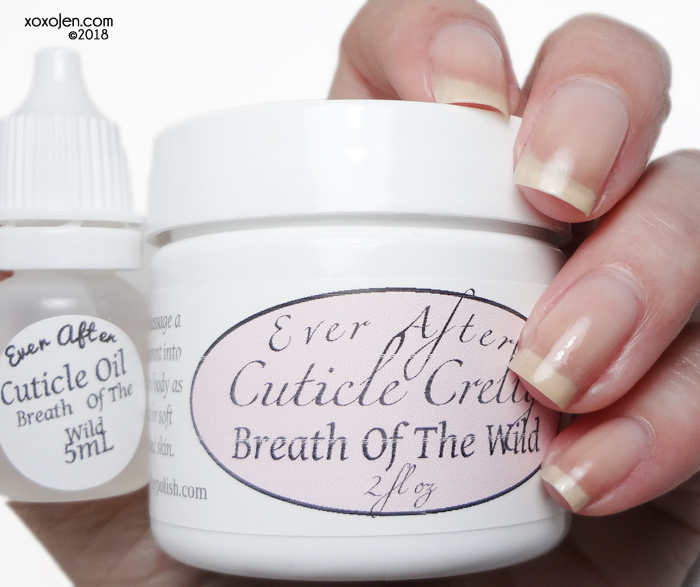 Fantastic formula, thin and super easy to apply; just the way I like them! 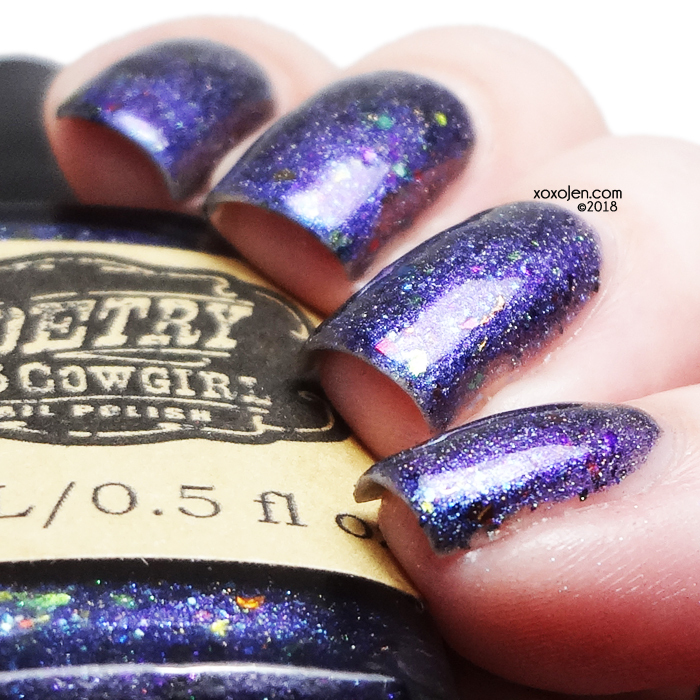 The purple shimmer is intense and totally makes the polish. Two coats with topcoat shown. 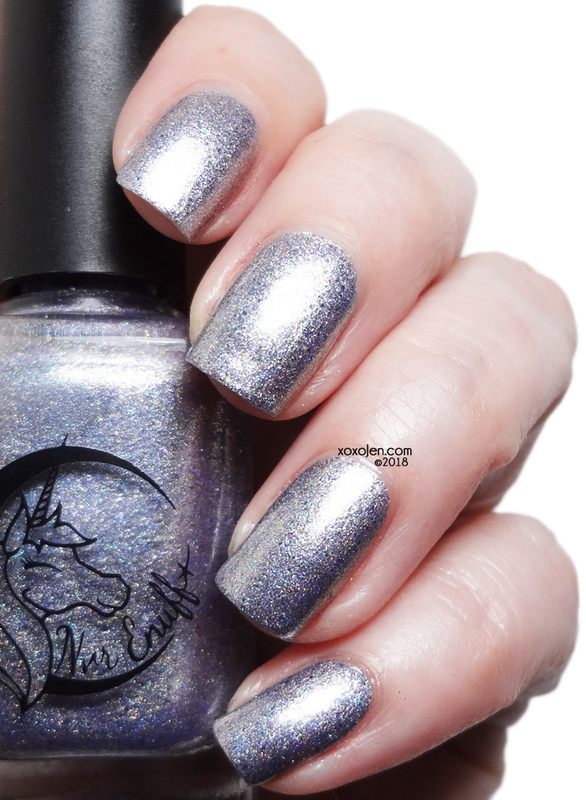 Super reflective holo and although lavender isn't mentioned, I see quite a bit of it in the rainbow of holo. Loving it! Two coats with topcoat, formula was good. 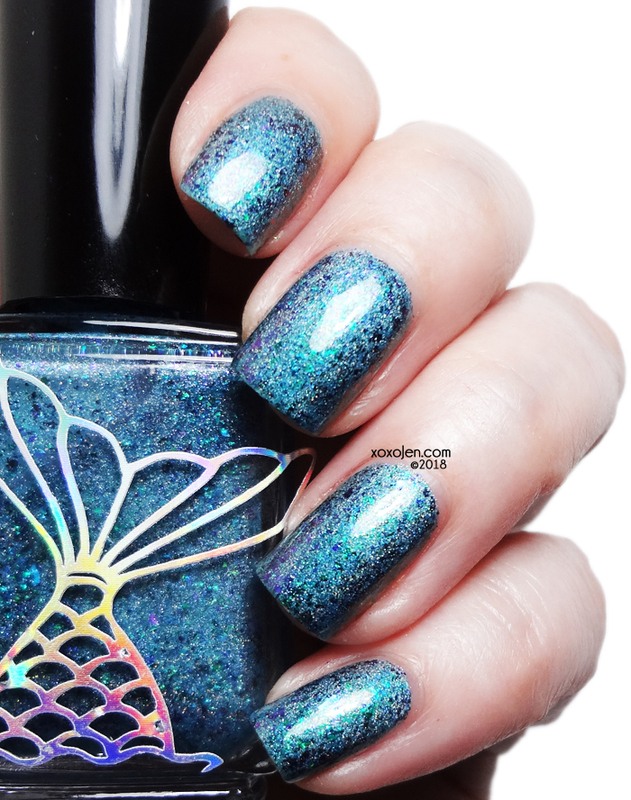 a turquoise blue with holo and ucc flakies. Comes with a holo game controller decal. 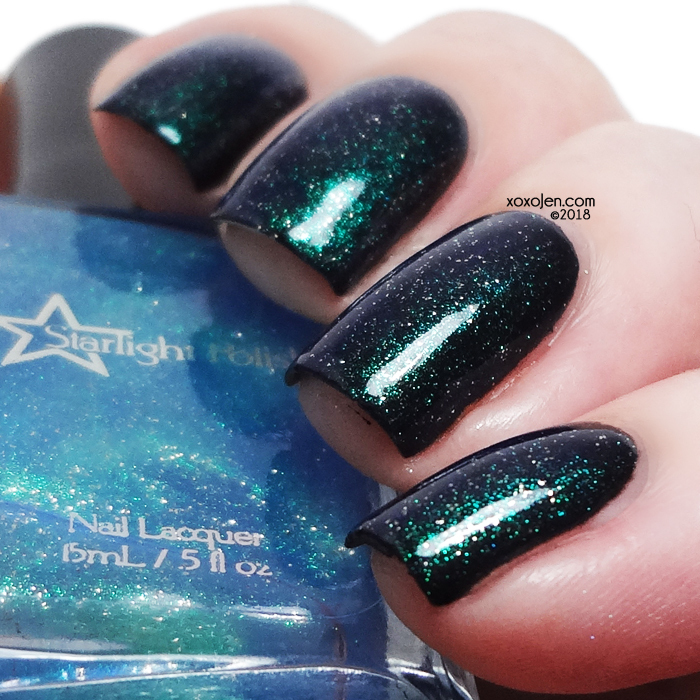 Perfect formula, perfect color, flakes just sing and take a look at that aqua shimmer! Two coats with topcoat shown. blood red polish with red and silver holographic glitters. It is definitely a blood red polish with pops of rainbowy sparkle. 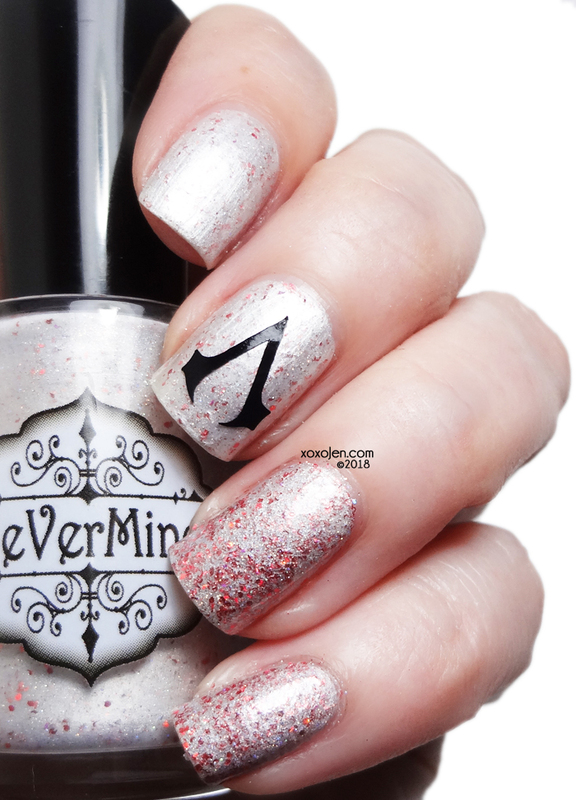 The formula was thin like I like it and built nicely in two coats. Two coats shown with topcoat, formula was fantastic. There will be a cap, but at the time of my post it was not yet determined. Super shifty lil wench! Teal, purple, blue, what else can it do? Sparkle and shine with those flakes, that's what! Two coats with topcoat, formula is good. Oh holy cannoli. Is it really the end? Have I made it? Someone pinch me, quick! After all that, plus the two posts that Manna has coming, ya'll are gonna need a day off and a truckload of coffee to prep your lists - or just add them all. That would be much easier. You know you want to. 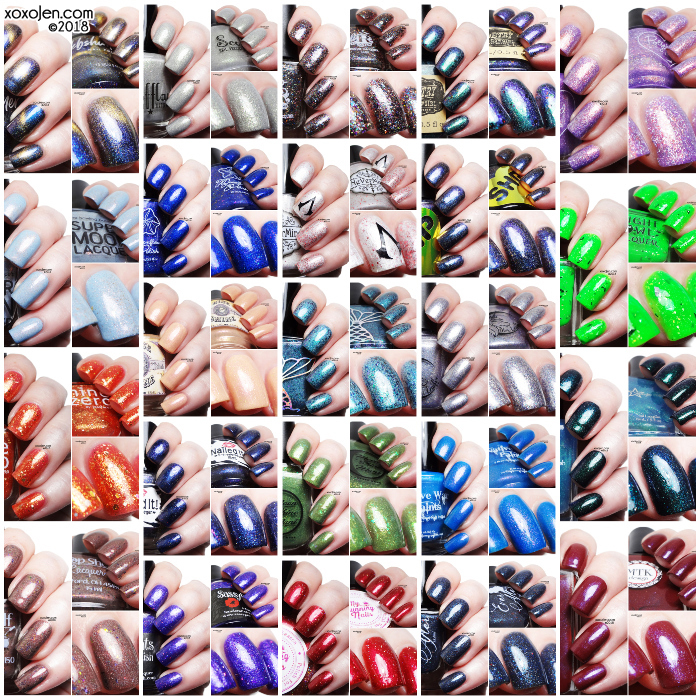 The June Polish Pick Up (PPU) pre-order is June 1st - 4th, after that they will not be available. Have you made your wishlist yet? I love how you just made it easier to grow my list! I just had screen shot my faves and I have all the info I need so I can compile my list! Just so awesome! Thanks!